The trees are shedding their leaves, so don’t be leaving it too long to grab a shed for winter. 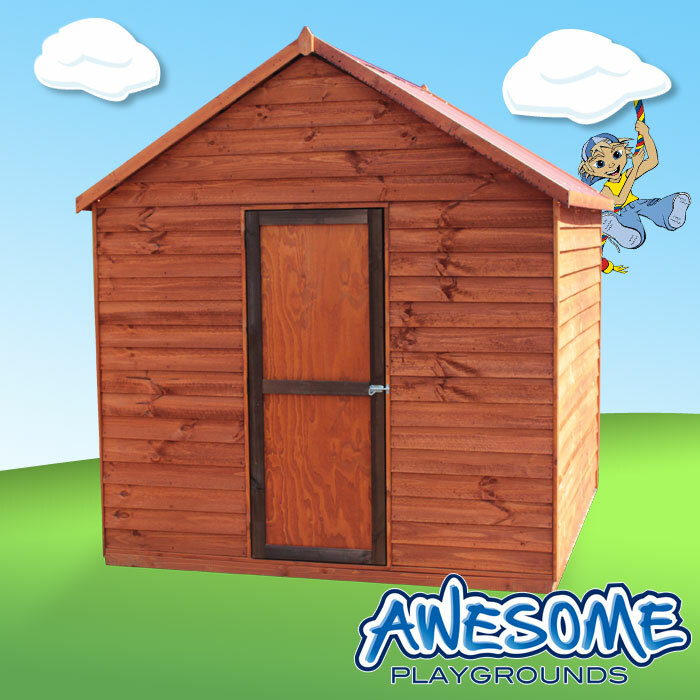 Just in time for the cold months, Awesome Playgrounds has just started making sheds again. 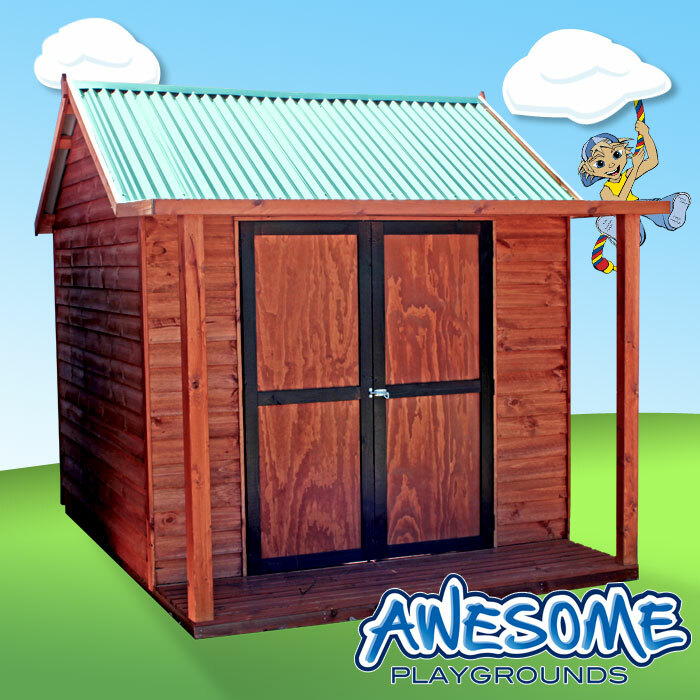 Being quite similar in design to a cubby house and having made them in the past, we knew we could make a cracking shed! However, before we dove back into shed manufacturing, we sat down and thought about the sort of shed we wanted to offer. Sheds are a-dime-a-dozen these days, and with the sheer quantity available on the market most manufacturers seem to have forgotten that a shed doesn’t have to just store things, but that it can also look good. When most people think of a backyard shed, they think of a typical small, metal shed that looks tacky and stands out like a sore thumb. So we thought, ‘Why not make natural looking timber sheds that are spacious and visually attractive?’. Obvious huh? We picked pine as our timber of choice, decided we’d always throw in a floor with every purchase (you’ll find they’re often optional extras with timber sheds), then made sure our sheds had the best coverage and protection possible with Colorbond roofing and a staining option. We started out with ‘The Gardener’ and ‘The Alexandra’. They’re both simple sheds perfect for the backyard hobbyist and we instantly found them to be quite popular amongst customers. Next we introduced ‘The Murray’ with the unique ‘side door’ feature that you can see below. Then, picking up on the cubby house theme, we introduced sheds with verandahs, creating something a little bit different and with a touch of style. ‘The Grange’, adding shade and class! ‘The Kingston’ is a classic style shed with plenty of width, especially when you add the double doors pictured above! 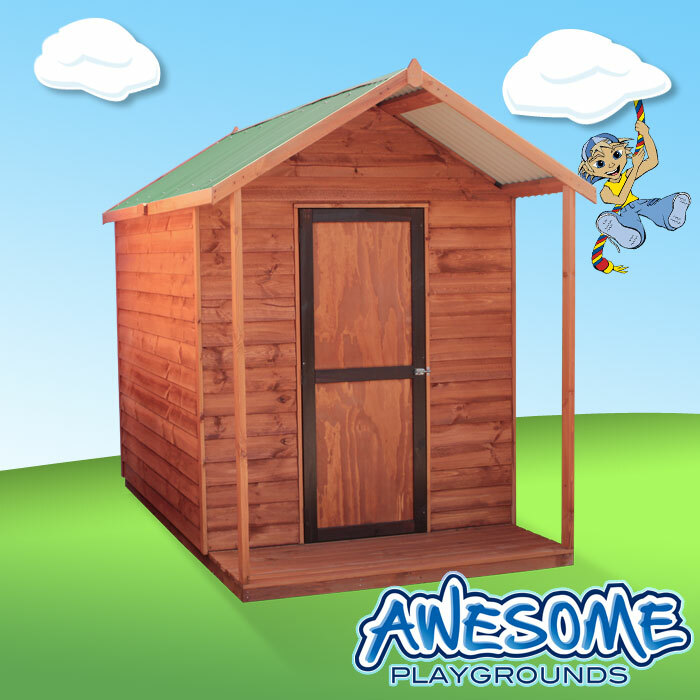 So if you’re short on storage space and want to keep all your equipment dry throughout the winter months, or you feel your current shed could do with replacing, consider our Awesome Sheds and imagine how great they’d look in your backyard! There are even more Awesome Sheds available that aren’t pictured here and each model of shed is available in a range of sizes to suit any backyard. 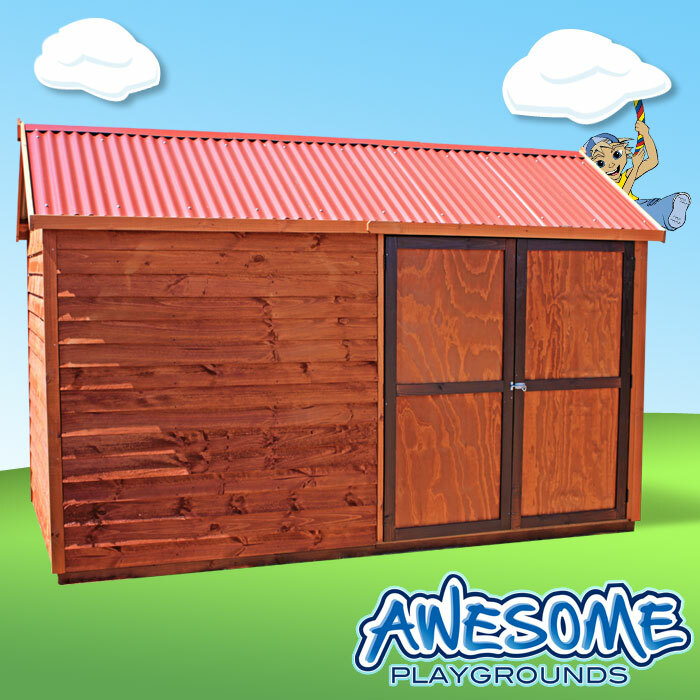 To find out what sizes of each shed are available, what additional extras you can buy and to find out where to pick up one of our Awesome Sheds, visit the shed page on our website at www.awesomeplaygrounds.com.au/sheds.